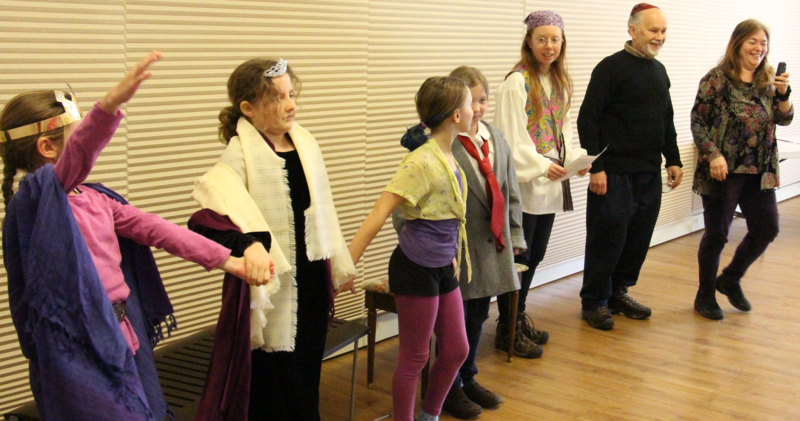 Enjoy the Kol Haverim family production of the Purim Spiel and enter in the Hamantaschen contest! Come in costume, or come as you are. Cheer on Esther and Mordechai and boo the nefarious Haman. We have plenty of groggers to go around, or make one yourself at the craft table. Hamantaschen will be judged in three categories: prettiest, most unique, and best overall. Time to pull out Bubbie’s recipe box or point your browser at your favorite recipe website and show off your baking prowess!